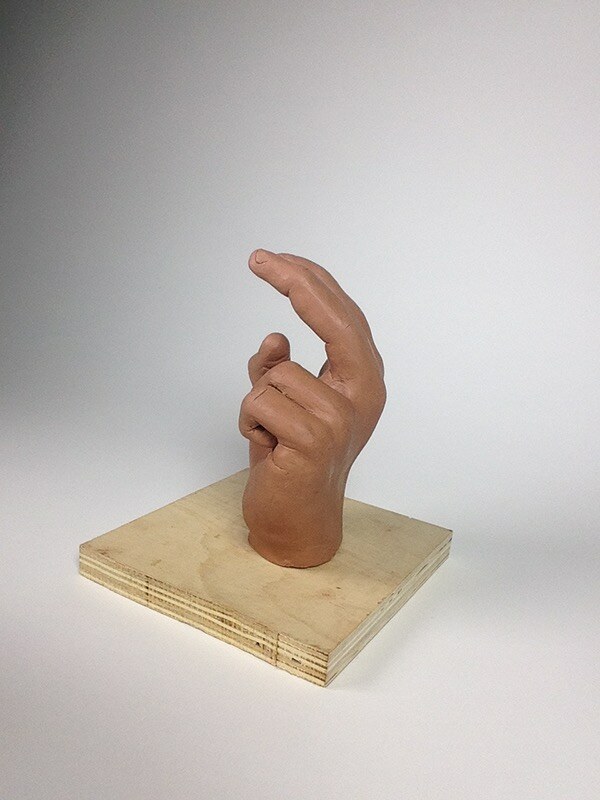 The Clay Hand Project is a Design I project at Philadelphia University that pushes the student to use their abilities of observation. 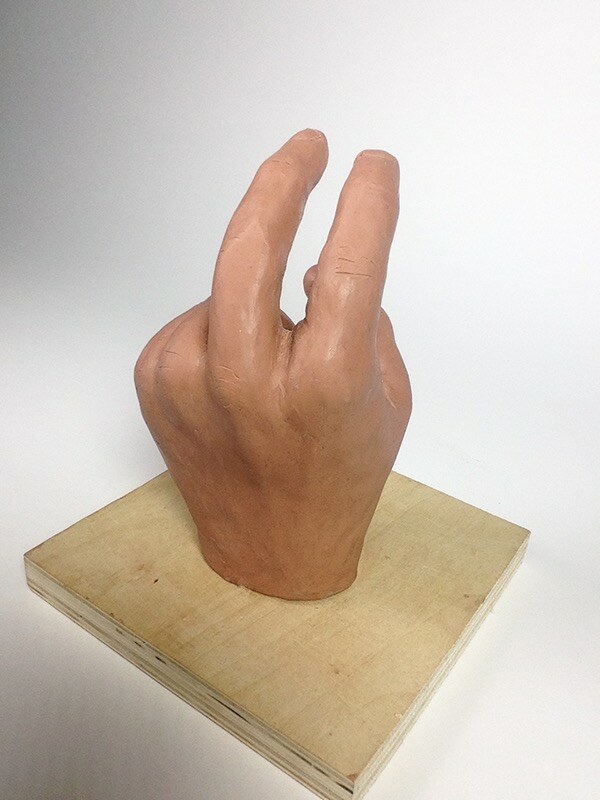 The assignment is simple, make a clay model of your left hand posing in sign language as the Designer's last name's first letter. 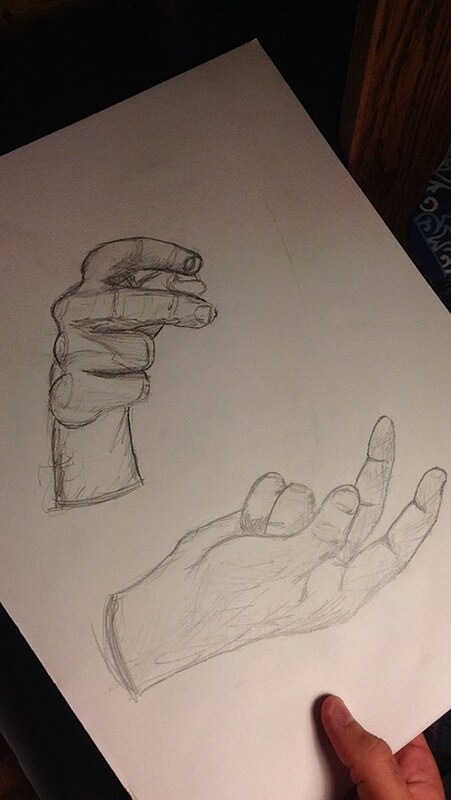 The first step in this process is to draw the left hand. 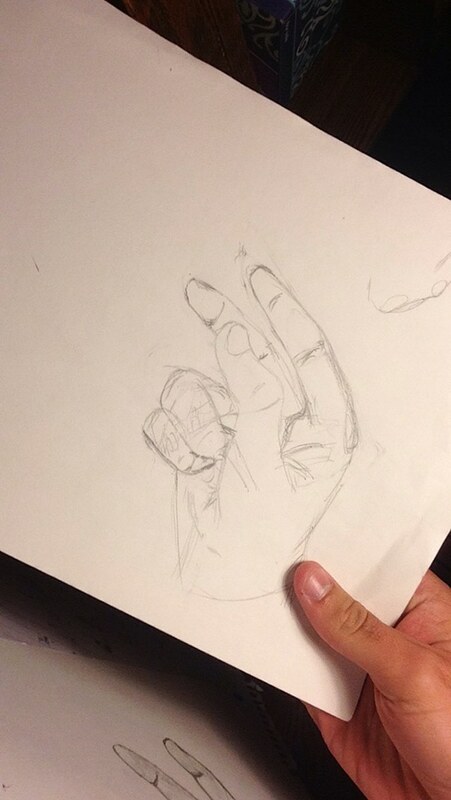 Learn as much about your hand and all the crevices by drawing the left hand at multiple angles. 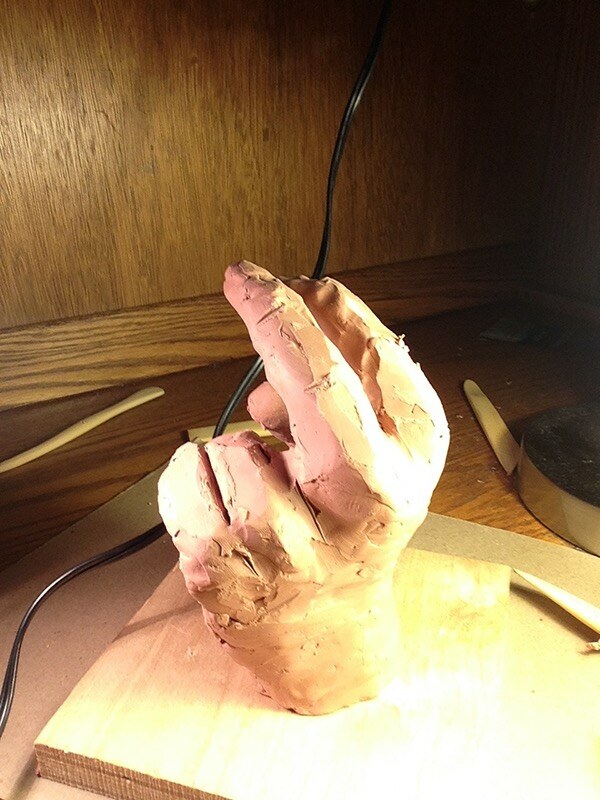 The next step was to chunk modeling clay onto armature wire until the Designer achieved a form close to the pose of the hand. 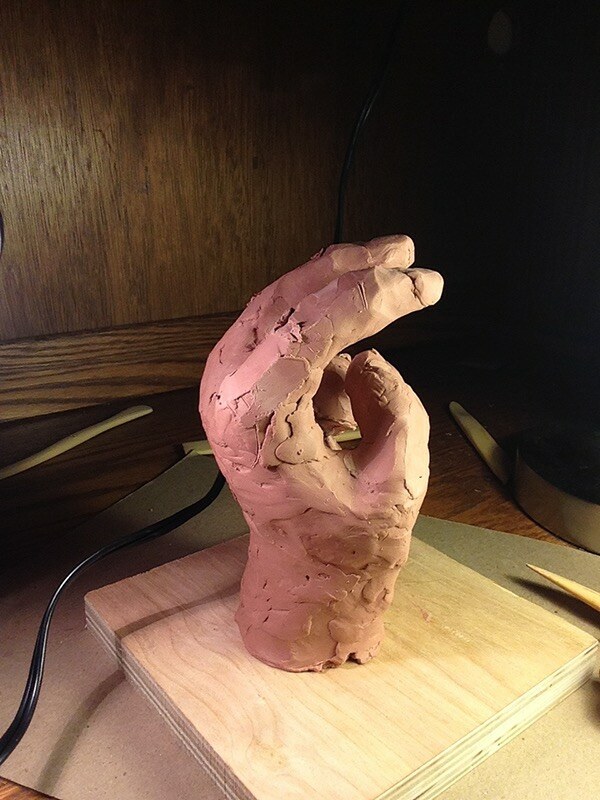 The final form of the hand was accomplished once the Designer formed the clay to the best of their ability to the form of their hand. 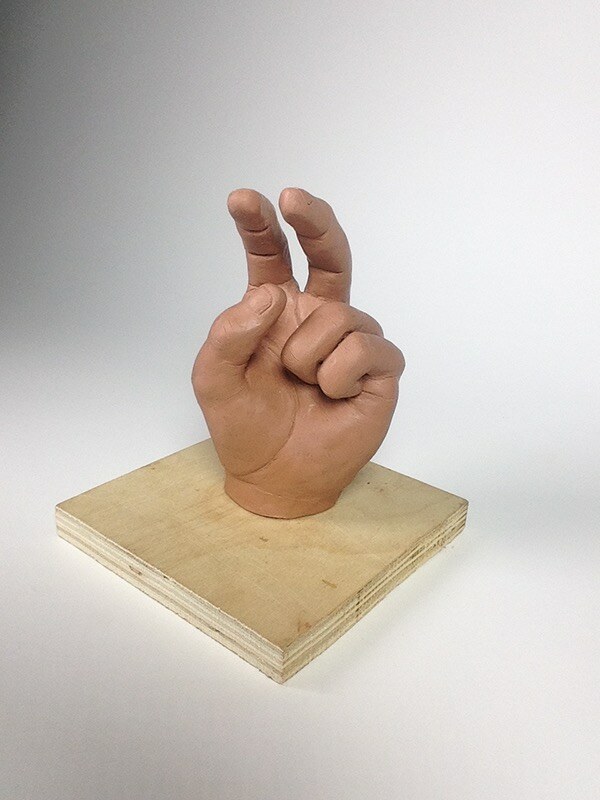 This project taught me that there is a lot of hidden talent within us that we have not expressed yet. Along side that, there is hidden talent unexpressed in every designer. The more the Designer learns of their hidden talents, the more they can understand themselves and express that difference in their designs. 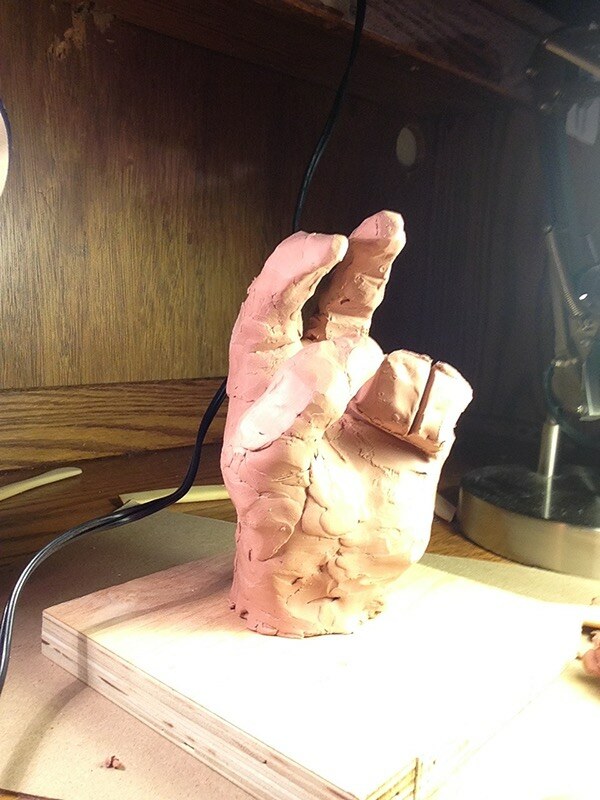 The Clay Hand Project is a focus on observation. 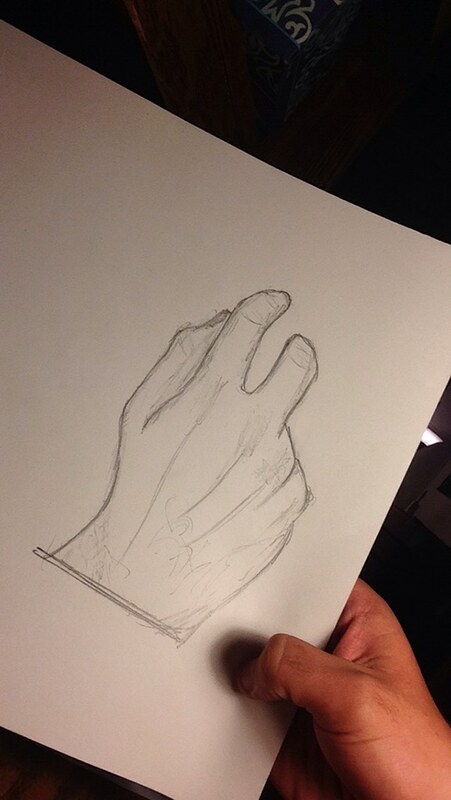 A push to focus on the form contours of the hand.